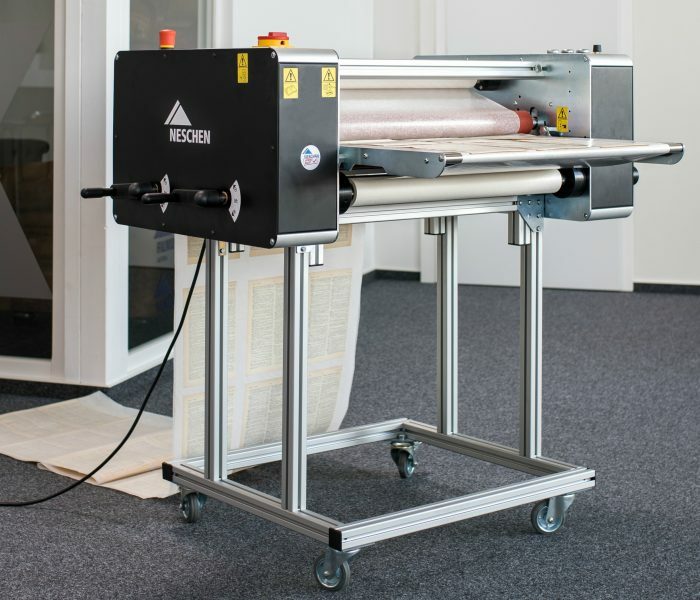 New, next generation Neschen Hot Laminating Machine for encapsulating documents with filmoplast® R - In-house developed & manufactured ! 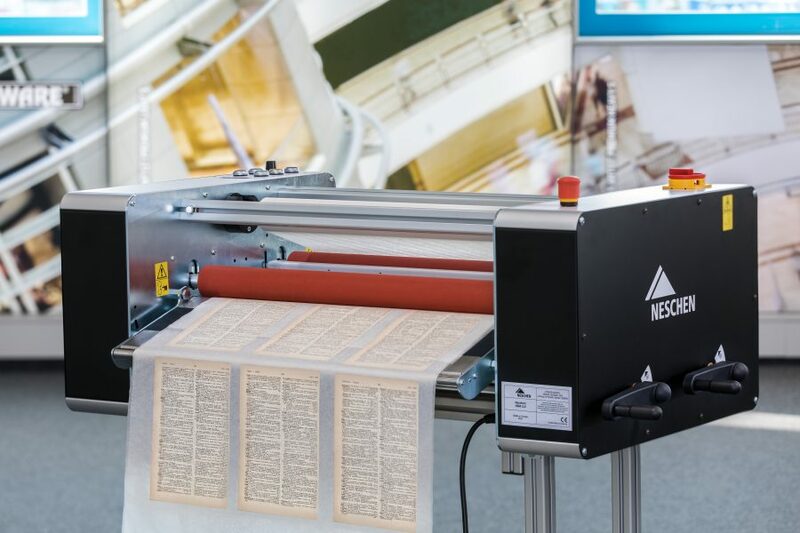 The new next generation Neschen HSM 2.0 is designed to completely encapsulate documents with filmoplast® R, allowing efficient preservation of modern papers. Huge time and cost savings guaranteed ! The large stainless steel in-feed table enables easy insert of documents. 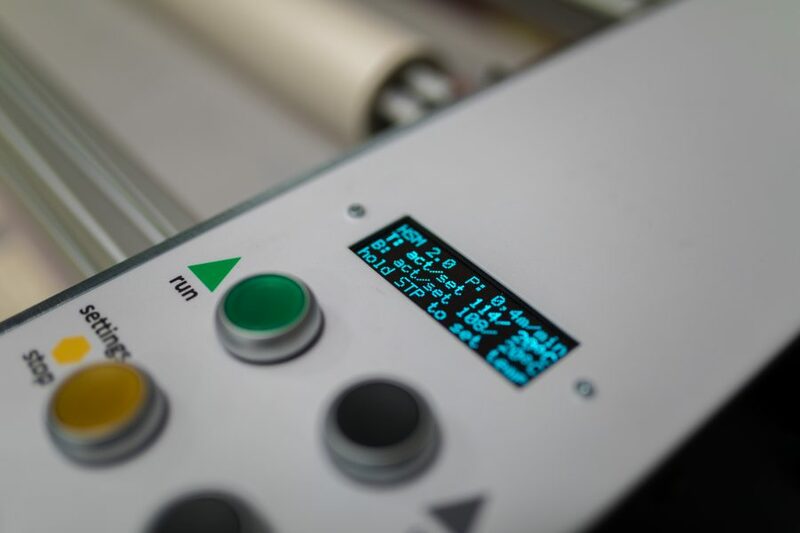 The increased usable width of 620mm allows working with all widths of filmoplast® R on the same machine. The speed can be continously varied up to two meters per minute. This machine is fitted with two heated rollers, continuously adjustable up to 150°C. 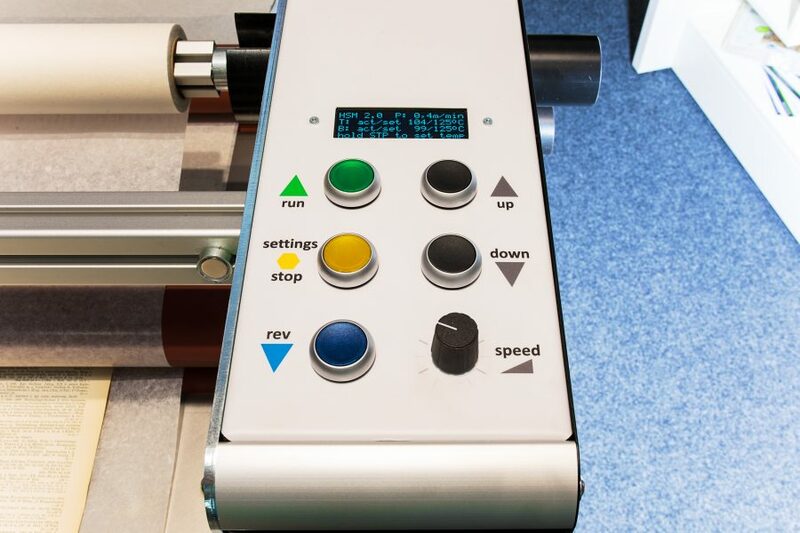 To optimize throughput of the encapsulated documents, the machine is equipped with two pulling rollers and a downwardly sloping out-feed table.